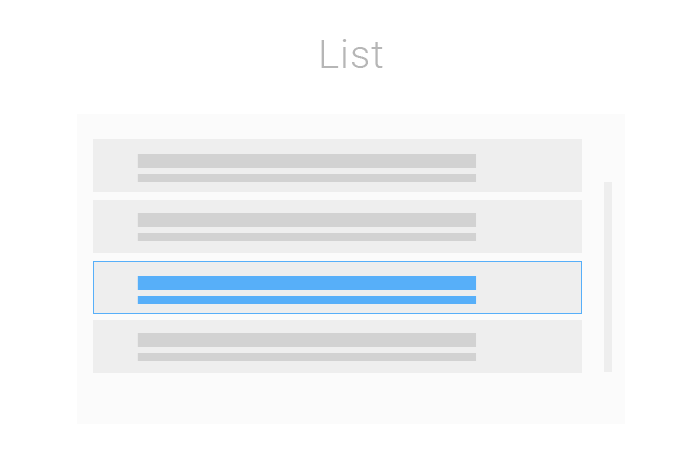 Drag-and-drop: within List, as well as between List and dhtmlxGrid, dhtmlxTree, or any other HTML container. Loading data from the server-side using dhtmlxConnector. Selection: single, multiple selection, group selection. Init with auto height, fixed height. Browsers compatibility (IE, FF, Opera, Chrome, Safari, MS Edge). Integration with other DHTMLX components. Our detailed documentation can learn how to use List and effectively implement it in your own applications. It provides the detailed information regarding each aspect of the widget.